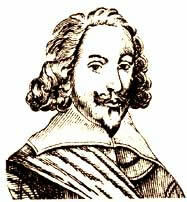 During the First Civil War, 1642-6, David Hammond, Mayor of Tenby, 1641-2, and his accomplice Deveraux Wyatt, held Tenby for Parliament. They provisioned the town for a siege and carried out emergency repairs to the North West and Quay gates. In spite of these measures, a year later, in 1643, the town was taken by the royalists. By the Spring of 1644 Tenby was the only Royalist town of any consequence in Pembrokeshire, and the community must have watched nervously as three Parliamentary warships from Pembroke sailed menacingly into the bay. Soon people were scurrying for cover as the town came under fire from heavy cannon (see Tenby Museum for cannon ball exhibits from this attack). The outcome became even bleaker a few days later when five hundred Parliamentary infantrymen, with support artillery under the command of Col. Roland Laugharne, took up position outside the walls. On the afternoon of March 7th 1644, the bombardment began and continued for three days. By sunday the Northgate, which was already in a poor state of repair, had been breached by cannon fire and the government fatally wounded. Hours later the Parliamentary troops marched into the town and nearly three hundred men and their officers were taken prisoner.Four years later an apparently dissulusioned Col. Laugharne, and Col. Poyer, Mayor and commander of the fortress at Pembroke, resentful of unpopular orders issued by a distant parliament, changed allegiance and declared against Cromwell. A worried Cromwell dispatched one of his senior military strategists with clear orders to crush the revolt with all speed. The garrison at Pembroke Castle held out against Cromwell for a total of seven weeks. Poyer and Laugharne were captured and sent to await trial by military court. It was decided that only one rebel leader should die, and lots were drawn to determine who this should be. On the site now occupied by Covent Garden Market, Col. Poyer showing great courage and composure, was executed by firing squad.